Emotions! Are they out of control? Ordered a few books for my class Love From the Inside Out. Nice birthday present to myself today. Okay, self-publishing, difficult and time-consuming, was still a lot of fun. I learned a lot about what it takes and now I respect the people at Tate Publishing even more. Took me all summer to get it ready! Do you find it hard to show love to unpleasant people in your life? To care about those who hurt you deeply? Godly love can grow and expand inside your heart enough to better reach out to others. 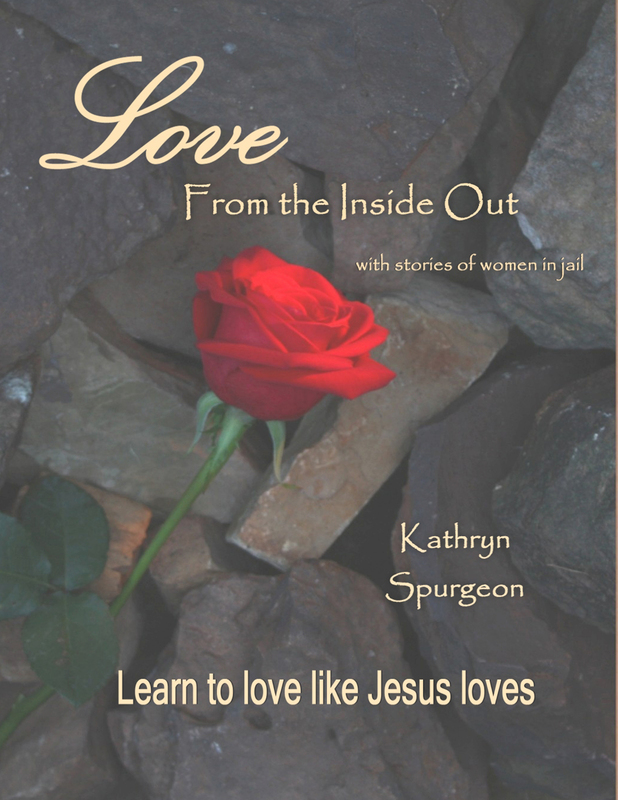 While Kathryn Spurgeon helped women in the county jail, the inmates taught her much about spiritual maturity. Incarcerated women encouraged her through a personal crisis of her own. Kathryn offers one pattern of spiritual growth, a step by step process about how to love in a deeper way. The books are $10 apiece. Here’s the cover.